In this Photoshop tutorial, we'll learn how to create fully editable blurred type using layer styles! Specifically, we'll see how to use the technique to add blurry shadow text to an image. Now, if you've been using Photoshop for a while, you may be thinking, "Blurred text? Can't you just blur it with the Gaussian Blur filter? ", and yes, you can, but there's a big drawback to doing that. Photoshop won't let us apply Gaussian Blur (or any other filter) to type without first converting the type into pixels (a process known as rasterizing the type), and once it's been converted to pixels, the text is no longer editable. In this tutorial, we'll look at a different way to blur text, one that gives us the same results we'd achieve with Gaussian Blur but without the need to rasterize it, which means our type remains fully editable even after we've blurred it so we can still go back and make any changes we need! How is it possible to create blurred yet editable text? Thanks to layer styles, it's actually very easy! Canceling the filter since I don't want to rasterize the text. 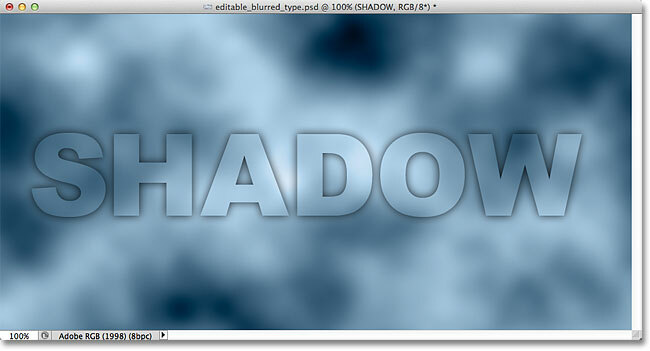 Let's look at a how to blur the text using Photoshop's layer styles! Clicking on the Layer Styles icon. Lowering the Distance to 0px. The text after lowering the Distance value to 0px. The image after lowering the Fill Opacity of the text. Clicking on the words Drop Shadow. Step 6: Disable "Layer Knocks Out Drop Shadow"
Turning off the Layer Knocks Out Drop Shadow option. The blurred shadow text is now fully visible. Adjust the amount of blurring on the text with the Size option. The text after increasing the size of the drop shadow. When you're happy with the amount of blurring, click OK in the top right corner of the Layer Style dialog box to close out of it and complete the effect. 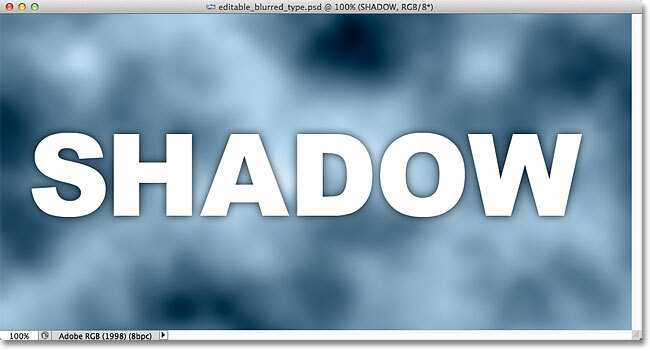 Double-clicking on the Drop Shadow effect below the Type layer. Setting a new Size value with the slider. The same blurring effect is applied to the new text. And there we have it! 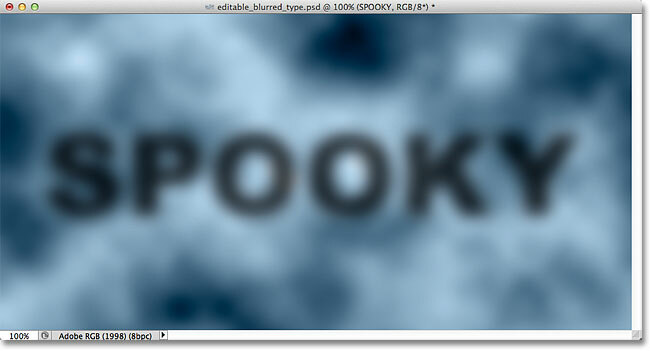 That's how to create a fully editable blurred text effect using layer styles in Photoshop! Check out our Text Effects or Photo Effects sections for more Photoshop effects tutorials!